The decision to deny Walker’s plea was with the intent to utilize this case as an opportunity to engage the public with the opioid epidemic. Goodwin inferred that rejecting this plea deal would be in the best interest for the public, since it would give them a chance to become educated on the opioid crisis and participate in the criminal justice system. Goodwin additionally proposed a four-step initiative gauge public interest with this case. The first part of his four-step initiative was that the criminal behavior displayed in this case must be considered with the “cultural context.” The cultural context is that the opioid crisis was an immense problem nationally, as heroin overdoses have tripled between 2010 and 2014. This particular case was held in West Virginia, where the opioid crisis is especially prevalent. In 2016, West Virginia had the highest number of deaths from heroin overdose. While the national average tripled between 2010 and 2014, in West Virginia the numbers quadrupled. It is essential to note, not all criminal distributions of heroin result in these increasing statistics for opioid-related deaths. In West Virginia, the average number of prescriptions for opioids per 100 persons was 110, while nationally it was 70. Goodwin suggested that the national opioid crisis should increase the public’s interest and desire to get involved with the criminal proceedings in this case as part of the jury. He also believes that this experience could enable participants to become informed about the opioid crisis in general. By preventing a public trial and accepting the plea deal, there would prevent a “community catharsis.” Goodwin is a supporter of the public receiving a form of justice from the effects of the opioid crisis, and by beginning a start to denying plea deals to cases such as Walker’s, it will enlighten other judges to follow the same path and push for repercussions rather than leniency with opioids. Goodwin went on further to discuss his personal distaste for the current acceptance of plea deals across criminal cases nationally. Historically, plea deals rose in the 19th and 20th century when the crime rates were rising faster than they were able to accommodate trials, thus making plea deals more appealing to judges. He also looked into Walker’s past, and used it as justification for denying the plea. In the copy of Walker’s plea rejection it states “a number of troubling facts regarding Mr. Walker’s criminal history and the criminal conduct at issue emerged” and that “Mr. Walker is intimately familiar with the criminal justice system.” These statements insinuate that Walker was prepared for a plea deal, because his past encounters with judges have granted him leniency. Walker was charged with burglary and theft at the age of 13 and convicted six more times for theft-related crimes before the age of 17. As an adult, Walker was convicted 18 times for: possession of crack cocaine and intent to distribute, firearm violations, reckless driving, driving under the influence and disorderly conduct. However, there are an additional 8 pending charges and 47 charges that were dropped or dismissed. Goodwin decided that Walker had consistently avoided any tangible repercussions in the legal system. His decision to deny the plea deal was with the intent to ensure that Walker would face consequences for his actions. While Goodwin has good intentions to inform the public about the opioid crisis and allow them a chance to participate in democracy through the criminal justice system, it is questionable whether or not his decision will truly have the intended effects. By denying one plea deal, the opioid crisis is unlikely to end, the public would not all suddenly mobilize to fight the crisis and the criminal justice system would not be completely reformed. Instead, an alternative would be to institute educational initiatives regarding the opioid crisis and discussing policy issues that contribute to this type of substance abuse. Eight months after Goodwin’s decision to deny Walker’s plea deal, Walker was sentenced to ten years in federal prison. In this trial, U.S. Attorney Mike Stuart stated that “If you sell illegal drugs or if you violate gun laws, I will do all I can to send you to prison for as long as we possibly can.” This prosecution was additionally supported by Project Safe Neighborhood, a nationwide initiative that aims to lower rates of gun crimes. 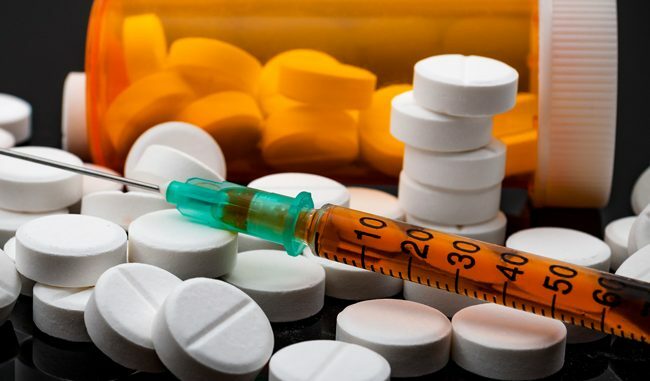 The United States Attorney’s Office for the Southern District of West Virginia is additionally taking increased measures to control the opioid crisis in this region. Despite these outcomes from Walker’s case, it is unknown whether there is any increase of the public’s knowledge and will to combat the opioid crisis as a result of Goodwin’s decision to deny the plea bargain. Samia Noor is a sophomore majoring in public policy. She is from Los Angeles, California.